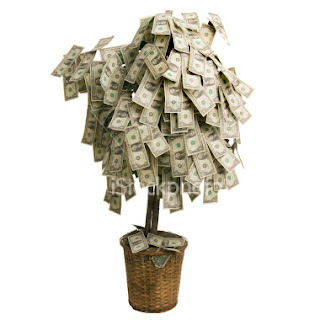 natalie's sentiments: Where is the money tree now that we need it? Every month the bill that is higher (by far) than any other bill is our mortgage. I'm sure that is the same for most everyone. Sadly, this month something tops it. Car repairs, not just my car but Shane's truck as well, is DOUBLE our mortgage. I am trying to not be depressed, but when your savings is eaten into by something as lame as that- especially in this freakish economy- it is hard to stay super chipper. That is my vent. Sniff. And to think...we could have taken a trip to Europe for the same price. It will be just my luck that I'll need a root canal next month....if I do, I am paying extra for the happy gas. Feeling your pain Natalie. Though getting hit by lightning is a pretty cool story you must admit. I feel your woes as well. I just had to fork out 1400.00 for a root canal last week. It just makes no sense to pay 200.00 per month in dental insurance when they don't pay for hardly anything to be done. ♥ Car repairs are the worst! I've completed THREE successful root canal procedures so I'm pretty much an expert now. I'm sure I can even get you a discount. What do you say? If it helps, I'm also certified to administer nitrous. Dave - Of course my entire family knows that you can give out the happy gas. That is why you are invited to the Nordstrom New Years Eve party this year.